If you haven't been on a pair of skates at least once in your life, then you are a rare bird indeed! 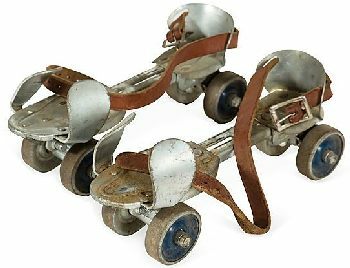 We used to go to an arena roller rink every Friday night, rented high-top shoe skates, and they blared all the latest tunes for us over the loudspeaker... it was a blast! 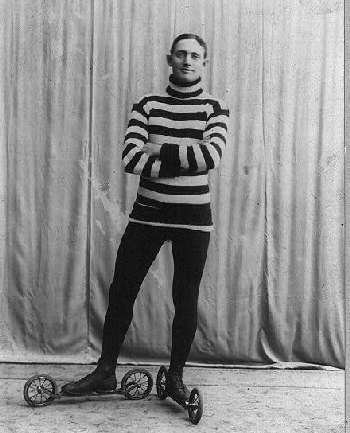 Back in the day, most of us had street skates, too, with steel wheels. 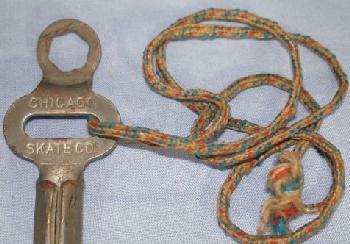 We carried our skate key (for making adjustments) hanging from a string around our necks! 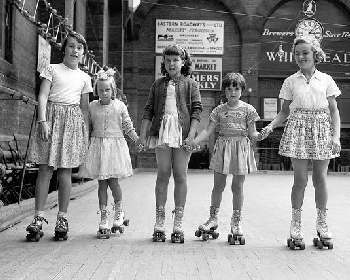 Although you can no longer buy the old steel-wheeled, clip-on, key-adjusted skates of old, many kids still enjoy regular, 4-wheeled (quad) skates. Today they have smooth plastic or rubber wheels and high-top shoes incorporated into them. Skates come in many styles, colors and brands. Modern inline skates (4-5 wheels lined up in a row instead of side-by-side) were developed in the late 1970s for Olympic ice-skaters, so they could practice skating "off the ice". 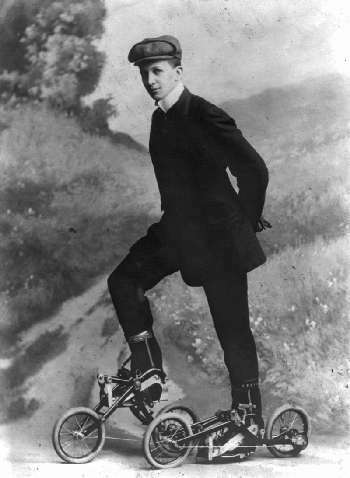 In the 1980s-1990s, Rollerblade, Inc., marketed inline skates under their trademark, and the new-fangled skates took off. 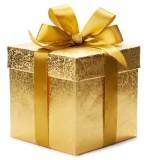 Inline skates remain popular today, and make a fine gift for older kids and teens. Be forewarned, however, inline skates are harder on the ankles than traditional quad skates. It takes quite a bit of practice and conditioning to become proficient at inline skating, without excessive strain/fatigue. This is the latest in high-tech skates, the Orbit Wheel. Judging from the reviews, these funny-looking skates have quite a learning curve, and are not appropriate for young kids. But for a teen always seeking the latest and coolest challenge, Orbitwheel Skates might just fit the bill. Back to Bicycles & Accessories. Check out today's high-tech skateboards here: Hoverboards. And the biggest craze yet... Drones 101.